Join us to celebrate the launch of blackholeclub.com and the cohorts first online exhibition. 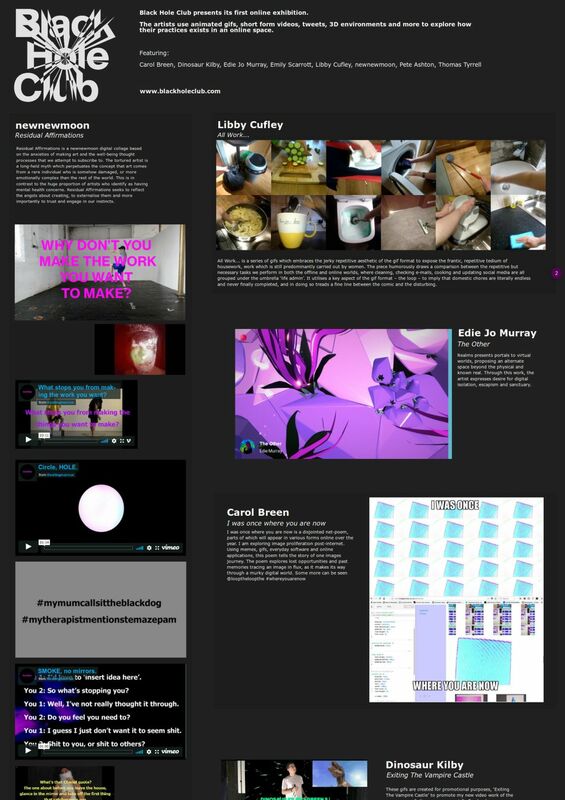 The artists use animated gifs, short form videos, tweets, 3D environments and more to explore how their practices exists in an online space. The works will be available to view in the space and you can find out more about joining the Black Hole Club in 2019.